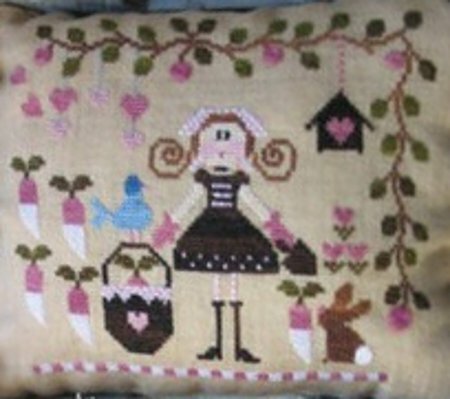 Translated title: "Miss Radish", a cross stitch design by C Mon Monde. "Miss Radish" is a cross-stitch chart with instructions translated in English. Specialty stitches: This is a cross-stitch design with a few back stitches, some satin stitch (optional) and 1 French knot (optional).There are clear diagrams on the chart; you can also replace these special stitches by regular cross-stitches. Recommended Fabric: linen or evenweave (even Aida if you work it completely in cross-stitch), stitch count of your choice, colour "Warm Sand", dimensions: 40x35 cm (16x14 ins).